This is a book that I’ve been dying to review–but I re-read this book over and over to do this review justice. 🙂 It’s definitely my favourite book at the moment, and it’s been totally worth it to buy on Amazon. Because sadly, it’s not available in book shops in the Philippines. Yeah, I’m talking to you National Bookstore, Powerbooks, and Fully Booked. And people are missing a lot not reading this book! Well, at least I think so. 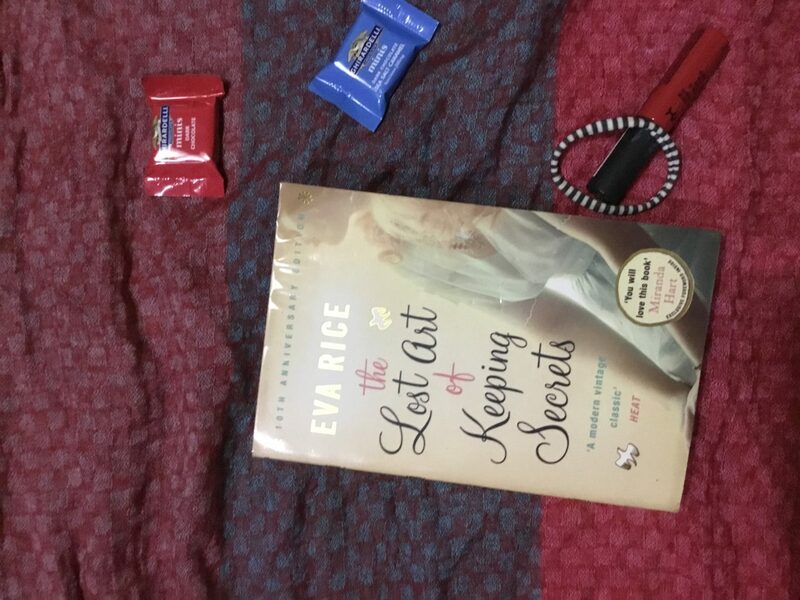 Eva Rice’s The Lost Art of Keeping Secrets takes place in 1950s England, a country still recovering from the effects of the Second World War, and still coping with rationing. At the same time, England was also invaded by America. Musically, that is. Penelope’s brother Inigo thinks nothing else but rock and roll and Elvis Presley, and running away to America to be a singer. Penelope Wallace, our heroine, meets her new friend Charlotte in the most unusual manner–being invited by Charlotte to a tea party. A one of a kind tea party, that is. Pretty soon, Penelope gets involved with more interesting people–Harry, Charlotte’s sardonic cousin hung up with Marina, an American who is engaged to another man named George; Rocky, an enigmatic American who becomes besotted with Penelope’s mother, the beautiful Talitha. And Harry’s mother Clare, who met Penelope’s father Archibald before he married Talitha. The real adventure begins when Harry invites Penelope to a dinner to make his former girlfriend jealous. Penelope’s not sure that she’s willing to participate. Will she? And what’s in store for her if she does? What I love about this story is that Eva Rice really made me feel like Penelope, her family and friends were real people. I could easily imagine what their slowly deteriorating country home would look like. Or being a guest in one of their parties. would feel like. Miranda Hart–yes, that Miranda Hart from Call the Midwife–wrote about the characters in the foreword: “This might sound weird, but can we be best friends?” I could easily ask Penelope, her friends and family that question if they were real people. Reading The Lost Art of Keeping Secrets felt like Penelope and Charlotte let me tag along in their adventures. There was never a dull moment in the book–and the dialogue was witty and charming, and had me giggling a lot! Possibly my favourite part was the ending–it still made readers wonder if Penelope and Harry got together, and while it didn’t actually say so, I had a good feeling they both had their happy ending.